I just checked and it has been a very long time since I posted an update. I do apologize and will try to do better in 2019. 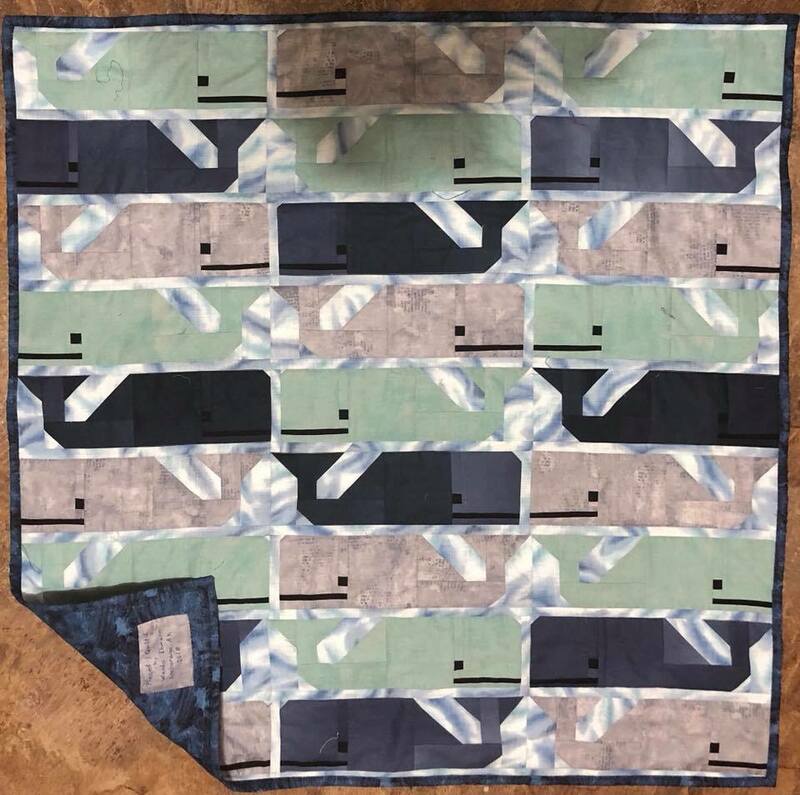 I should say that last school year I did a long-term sub job that took a lot out of me and I did not do much sewing between January and June, though I did do some. 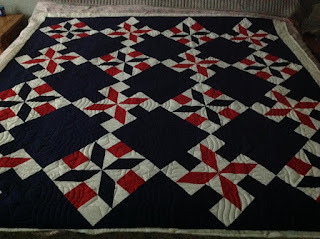 This summer I did some things on the house and some piecing and quilting and I have a pile of tops that are quilted and waiting for binding and others in need of borders, but I am working on my goal to finish up my UFOs or at least get them into Topsville this year, and have carried that goal over for next year. 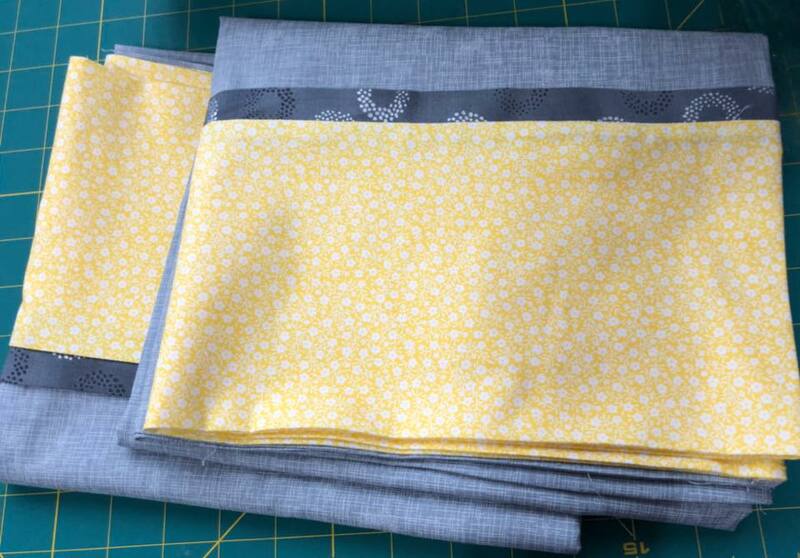 I have finished several smaller projects this year and am proud of myself for that. I also moved several projects forward and started a few new ones in 2018, but those will be in a different post. 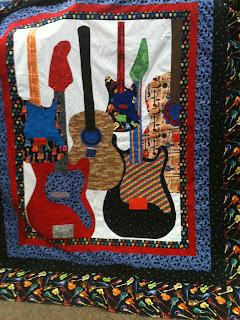 I plan to spend some time this winter working on binding quilts and getting more of my UFOs done or at least moved forward. I completed fifteen (15) projects this year. I am missing a few pictures and am not sure where they are hiding as I have looked in several places, including my phone, but the majority of them are on here. The projects I completed are listed below. 1. 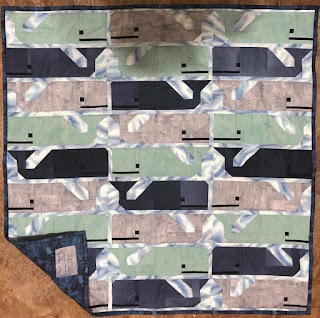 Whale Baby Quilt, which was a gift for a teacher at my husband's school. She had a baby boy. 2. 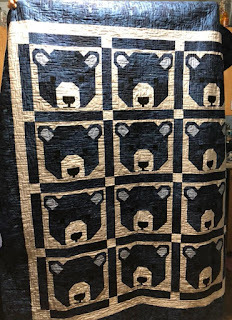 Bjorn Bear, which was a gift for my oldest and dearest friend and her first grandchild to share. 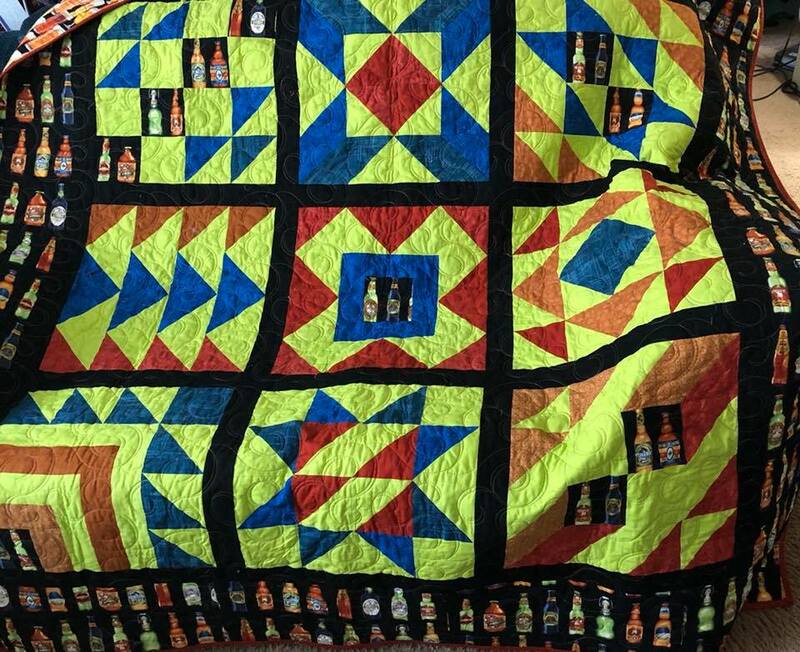 It is a Grandma's snuggle quilt. 3. 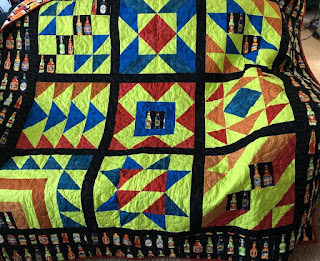 Beer Lap Quilt, which was a birthday gift for my youngest son's thirtieth. He helped me pick coordinating fabrics to do with the main fabric, not knowing it was for him. 4. 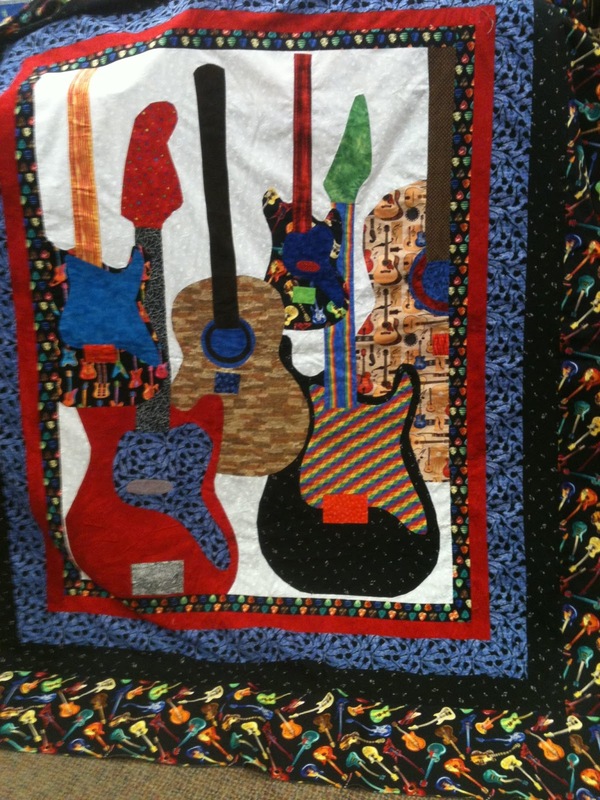 Guitar Quilt, which was a graduation gift for my youngest son's college graduation. 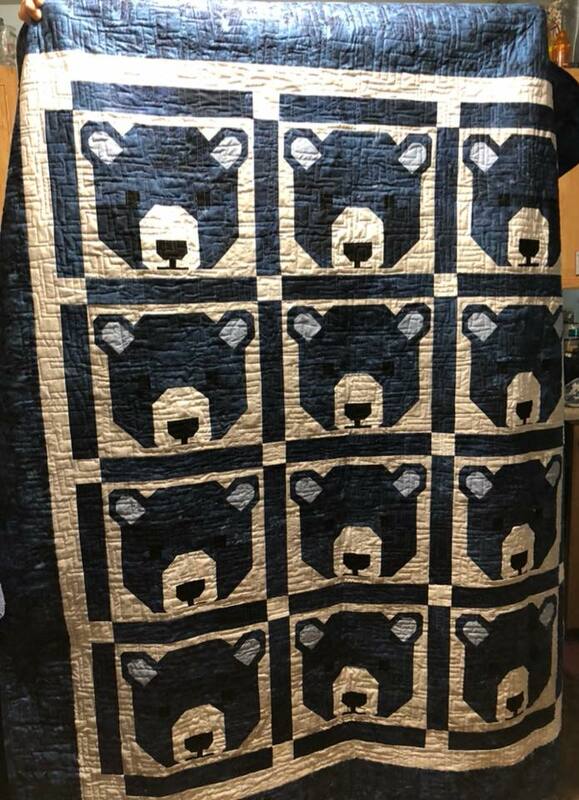 He got the top for his high school graduation and I told him I would finish it by the time he graduated from college. It has a been a joke for several years since he was gone for three years due to the military, plus took a semester off to work, and changed his major and emphasis during the course of his studies; as well as only taking a couple classes a semester for a few semesters. 5. Tandem Bicycle Wall Hanging for my husband for his birthday. 7. 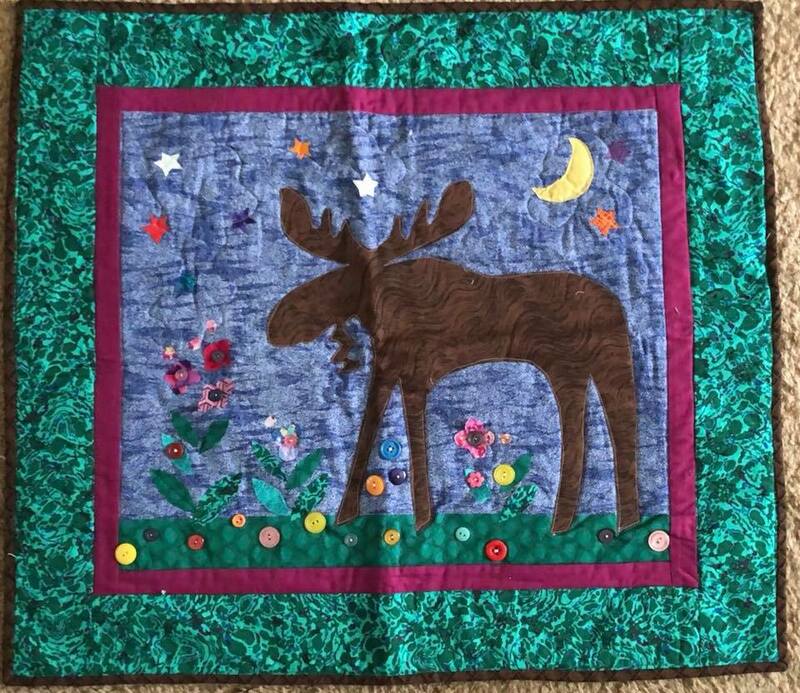 Christmas Tree Wall Hanging for my oldest son. 8. Clay's Star which is a gift, but the recipient does not know that yet, so I can't say who it is for. 9. 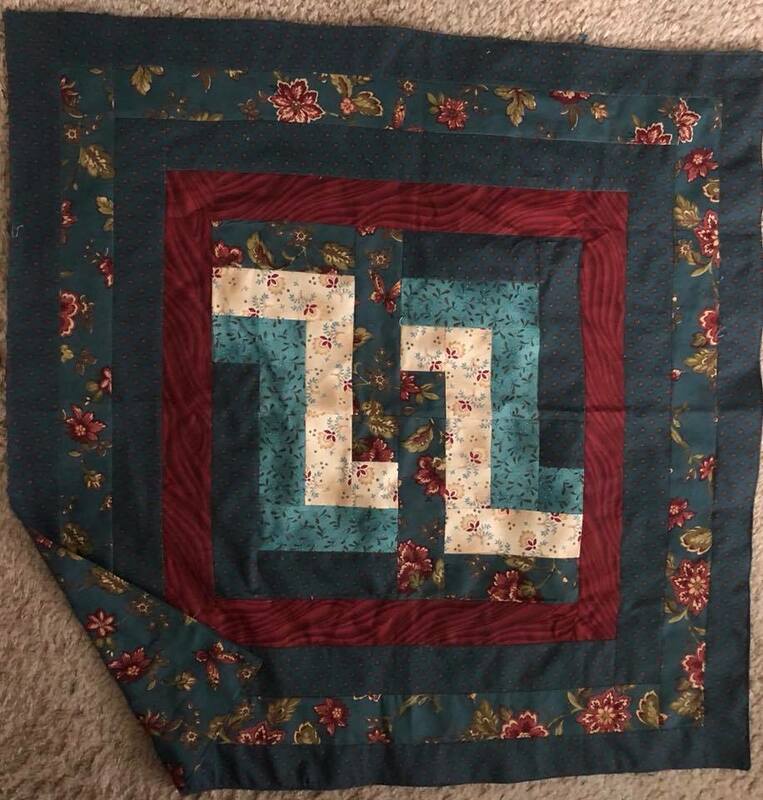 Folded Flowers Christmas Table Runner, for me. 10. Christmas Friendship Star, which I donated to the ski club auction. 11. 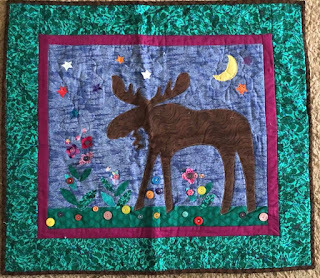 Winter Table Runner, which I donated to the ski club action. 12. Lover's Knot Table Runner, which I donated to the ski club auction. 13. Three Minke Infinity Scarves for me. 14. Five Heated Corn Bags for Tom and I. Things are on hold for the moment as we are cleaning up from the 7.2 earthquake that hit Anchorage on Friday, November 30. It really did shake us up and caused some minor damage to the house and a mess to clean up from things falling. We are continuing to have after shooks that give us a real jolt and that causes little messes as books fall over or off shelves where I am working to return things to rights. 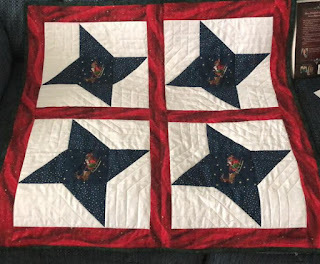 I have my UFO list for next year ready to go, as well as projects listed based on if they need to finish being pieced, need borders, are a top, are at the quilter, or need binding.